Needs analysis can give you a better idea of what kind and how much insurance would be the optimum for your business. Of course, buying liability, property and health insurance, in addition to Workmen's Compensation, can be quite expensive, so assessing your business' needs and what kind and how much insurance can be crucial. Property - this includes equipment, real estate and other assets. Business Volume - the amount of accounts receivable and the average cash flow of the business. Salaries - how much you pay yourself and however many employees the company has. Overhead - the cost of running the business including rent, utilities and other miscellaneous expenses. Future Trends and the Local Economy - how future trends and the state of the local economy will affect the business in the future. 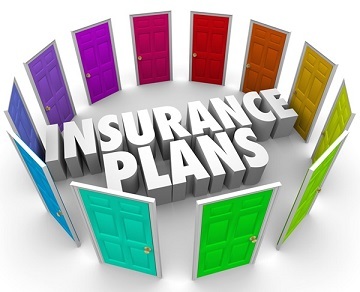 You can then better determine your company's insurance objectives and what type of insurance plan would be optimal for your business by keeping the above factors in mind. The second consideration for your insurance needs involves estimating your business's potential for losses. This includes fire, theft, property damage, an employee's legal action or losses due to economic hardship. Once you have evaluated your assets and liabilities, you will be much better prepared to determine how much insurance your company will need. You will want adequate coverage for your assets so make an accurate assessment of potential risks to your property to get adequate coverage. Remember, a high premium will provide a higher amount of coverage so be aware of potential risks and make sure your business is covered for any high risk factors. Also, if you choose a higher deductible, you will probably pay less for your policy. Make sure you get the right amount of insurance depending on what your company can afford. By law, your business will need Workers' Compensation insurance. Consult with your company's lawyer or advisor on how much your company may need and what type of package would be optimal for you and your employees. Comprehensive coverage might be optimal for your business if you have several employees and own the business property. Group health and life insurance along with disability, property, flood and fire insurance can often be included in your policy. A reliable insurance company and an experienced agent can be an important element to obtaining the right amount of insurance for your business. A knowledgeable agent can help you perform your needs analysis, and can sometimes speed up the claim process, if you need to make one. Also, choosing an insurance company with a good reputation and solid finances will give you greater peace of mind if any unfortunate event befalls your business. The last thing you need if you have to make a claim is an insolvent insurance carrier. Finally, have your business appraised periodically to gauge how much insurance you will need on an ongoing basis. Since business finances and assets change over time, the amount of insurance you might need can also change.